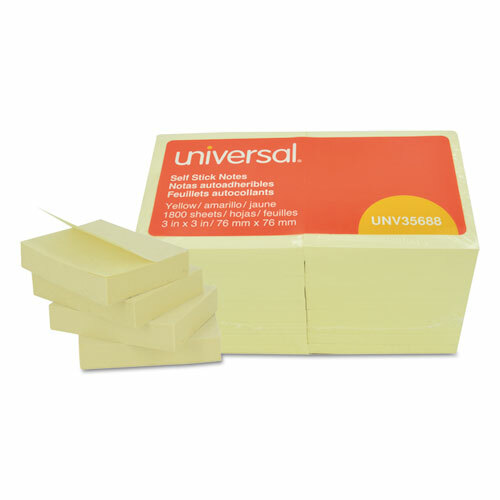 Universal Sticky Notes are great for reminders, quick notes, and indexing around the office and home. These repositionable adhesive notes stick almost anywhere. Featuring 100 count 3 x 3 inch sheet blocks in packs of 18.